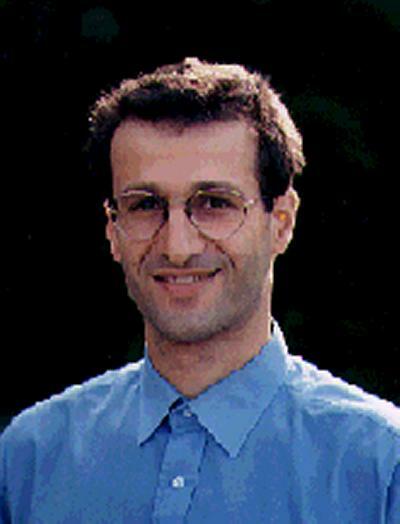 Dr Athanassios N. Avramidis is a Lecturer within Mathematical Sciences at the University of Southampton. Stochastic (Monte Carlo) simulation is an extremely general, flexible, and conceptually appealing technique, used in a wide variety of problems arising in science, engineering, and business. One drawback of simulation is its inefficiency, i.e., the lack of accuracy in answers relative to the computing time. My early research emphasized the development and rigorous analysis of techniques for increasing the efficiency of general-purpose stochastic simulation experiments, including: using auxiliary known information (control variates); exploiting the controlled experimental environment to integrate variance reduction techniques such as Latin hypercube sampling, control variates,and conditioning; and correlation-induction techniques for quantile estimation. A more focused research effort has been on the development and analysis of Monte-Carlo simulation methods with application in pricing financial derivatives. Two key projects have been the probabilistic analysis of a Monte Carlo stochastic mesh method for pricing American options; and efficient algorithms for option pricing under the variance gamma model; here, the difference-of-gammas bridge sampling technique was shown to be particularly efficient. Other work was on importance sampling for multimodal integrands, which often arise in Monte Carlo pricing of financial derivatives. A recent research thread is centered on stochastic modeling of call centers. In particular: modeling within-the-day stochastic dependence in call volumes; Markov-chain models of a blend call center; search-based optimization methods supported by Markov chain approximations for multi-skill call centers; and modeling and forecasting call arrivals to an emergency medical system. Constructing multivariate discrete distributions with given (arbitrary) marginals, given (arbitrary) rank or linear correlations, and normal-copula dependence. Avramidis, A. N., & Matzinger, H. (2004). Convergence of the stochastic mesh estimator for pricing Bermudan options. Journal of Computational Finance, 7(4), 73-91. Avramidis, A. N., Healy, K. J., & Uzsoy, R. (1998). Control of a batch-processing machine: a computational approach. International Journal of Production Research, 36(11), 3167-3181. Pan, S., & Avramidis, A. (2016). Modeling and analyzing the breakdown process. Poster session presented at 2016 Winter Simulation Conference (WSC), Washington DC, United States. Avramidis, A. (2009). Fitting discrete multivariate distributions with unbounded marginals and normal-copula dependence. Paper presented at Winter Simulation Conference, United States. Avramidis, A. N., Gendreau, M., L'Ecuyer, P., & Pisacane, O. (2007). Simulation-based optimization of agent scheduling in multiskill call centers.. Paper presented at 5th Annual International Industrial Simulation Conference (ISC-2007), . Avramidis, A. N., L'Ecuyer, P., Tremblay, P-A., Chick, S. (Ed. ), Sánchez, P. J. (Ed. ), Ferrin, D. (Ed. ), & Morrice, D. J. (Ed.) (2004). Efficient simulation of gamma and variance-gamma processes. 319-326. 2003 Winter Simulation Conference, .